NPC XCalibur Cup - Photos & Results Posted! NPC Florida Grand Prix: Photos & Results! It’s never to late to start something new. It way sound a bit cliché and trite, but it’s the truth. In the modern economy, those who follow their passions are usually much more satisfied than those who settle on something that may seem stable. The worlds of bodybuilding and running may seem like total opposites. One is anaerobic, the other is aerobic. I am so honored and blessed that I am an IFBB Pro and can be recognized for my hard work. Now it’s time to start all over again and be the newbie amongst the best in the world, now if this isn’t motivation I don’t know what is! An IFBB pro figure competitor herself, Danielle is a promoter as well as a judge in Louisiana. The aim of her show, the Camellia Championships in Slidell, Louisiana, is to place an emphasis on the athletes and create a smoothly-run, organized experience that will encourage competitors to keep coming back. I remember my fitness path of discovering life is full of speed bumps and hard decisions even at a young age. In second grade I learned the definition of determination and that I was in control of my life.
" I’m an all or nothing kind of girl, and if I had something set out to do I’m going to give it all I have and take it as far as I possibly can." 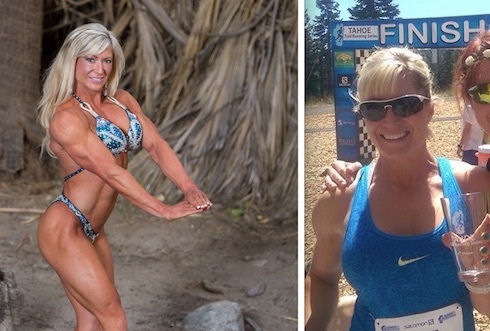 Nicole Reynolds just won her pro card at NPC Universe in July and she relishes competition in all forms.